Find out about Lottery contributions in your county. *School Construction dollars are the amount the county has received or will receive from Lottery backed bonds, revenue and interest earnings. Since 1997, the Florida Lottery has contributed $3.9 billion for total construction from Lottery backed bonds. 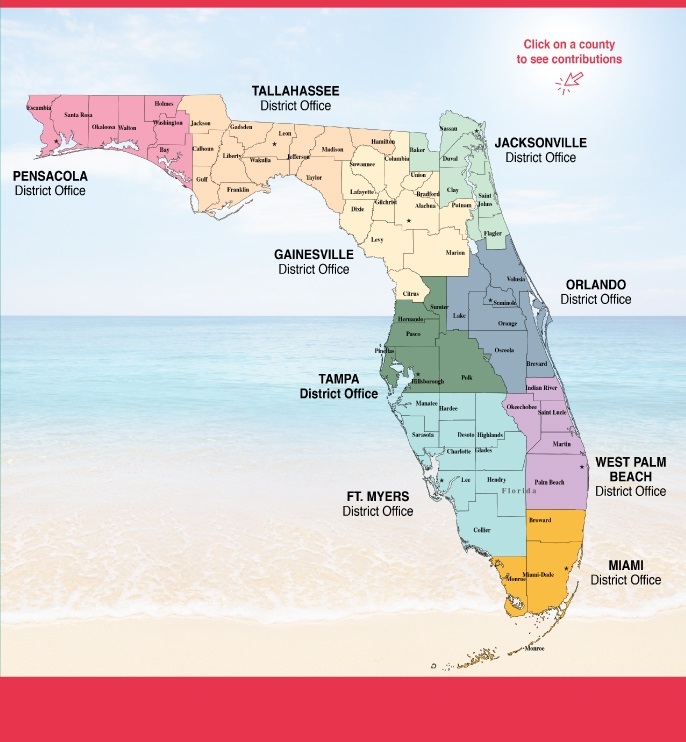 Funding levels are determined by the Florida Legislature and Florida Department of Education. *School Construction dollars are the amount the county has received or will receive from Lottery backed bonds, revenue and interest earnings. Since 1997, the Florida Lottery has contributed $3.9 billion for total construction from Lottery backed bonds.